Employing heavy-duty springs that automatically lower or raise pallet as weight is added or removed, Presto Lifts P3 All-Around Spring Level Loader maintains top layer of boxes at accessible position. 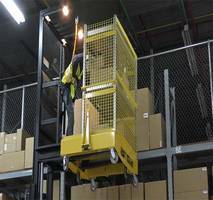 This improves efficiency of pallet loading and unloading operation. Turntable ring on topÂ lets user rotate load, which, eliminates need to walk around pallet, while base sizeÂ and component integration allow workers unobstructed access to loads. Load capacity is 400–4,500 lb. Southland Equipment Inc, Columbia SC, is proud to carry the new Presto Lifts P3 All-Around Spring Level Loader improves the efficiency of pallet loading and unloading operation. 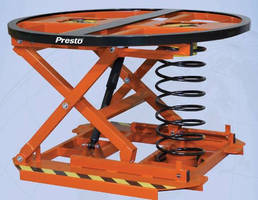 A system of heavy-duty springs automatically lower or raise a pallet as weight is added or removed. By doing so, the P3 Spring Level Loader maintains the top layer of boxes at an easy to access position. A turntable ring on top of the unit allows the user to rotate the load so he or she can remain in the same position throughout the loading or unloading process eliminating the need to walk around the pallet. A compact base design allows workers unobstructed access to loads. All of the P3 Spring components fit within the diameter of the turntable ring, so the worker can stand up close to the unit at any position around the ring. The economical unit requires no power and is virtually maintenance-free. Fork pockets at the base allow for easy relocation. 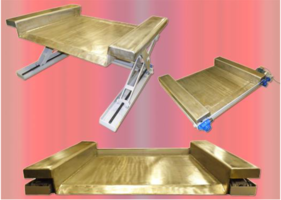 A variety of options including disc covers, solid tops, bellows guards, casters and special finishes are available. Established in 1971 as a service company, Southland Equipment, Inc. has built its reputation on superior service and products and maintains a positive reputation in our community and industry. • Load height adjusts automatically. • Spring actuated - No power required. • Stable base - No lagging required. • Fork pockets for easy relocation. • Includes; Set of (3) calibrated springs. • Handles loads from 400 lbs. to 4,500 lbs. Southland Equipment inc has been a leader in South Carolina’s material handling industry for over 40 years. A Heli dealer and CCR Certified Supplier, Southland Equipment carries a variety of material handling equipment including forklift trucks, lift trucks, personnel carriers, air technical systems, dock equipment and conveyors. It is our mission to meet your company’s needs, no matter how big or small, while exceeding your expectations. 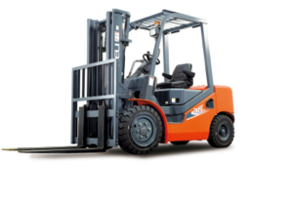 H3 Series Heli Forklifts meet EPA standards. 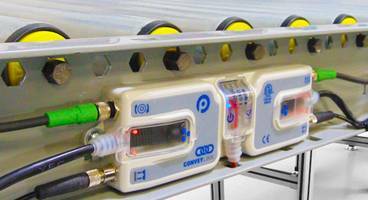 Motor Driven Roller Conveyors are equipped with 24 volt DC motors. Manual Kooi Reach Forks come with load capacity of 5,280 lb. Robotic Products palletize and depalletize.